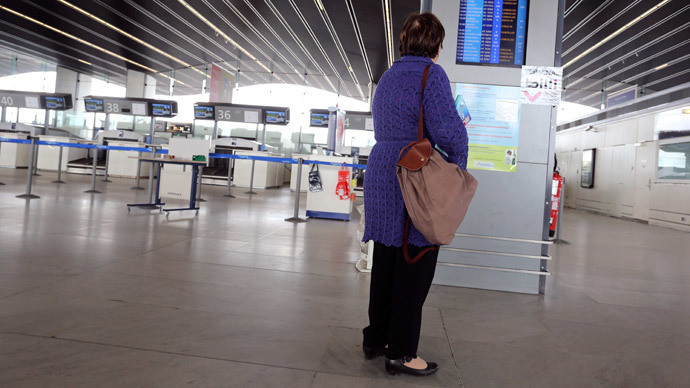 Police in France have arrested a man who made a fake bomb threat with the sole purpose of delaying his girlfriend’s flight, because she was afraid of being late. The caller is facing a fine of tens of thousands of euros, local prosecutors said on Sunday. Police responded by sealing off parts of the airport, deploying troops, and conducting thorough searches. After failing to locate anything, an investigation was launched and the man was arrested about 20 kilometers (12 miles) from Bordeaux. Following interrogation, the suspect admitted making the fake threat in order to give his girlfriend some extra time to get through traffic and reach the airport on time. As for the consequences, the unfortunate caller is facing a fine of up to €30,000 ($33,000), AFP reported citing French prosecutors. He will be appearing in the Bordeaux court to argue his case. Anonymous calls making fake plane bomb threats have become more and more common in recent years all over the world, with one of highest incidence being reported in the US. American Airlines has been a particularly hot target. One of the most recent incidents, which took place in January, caused three planes to be evacuated in Seattle and Dallas following bomb threats. Atlanta’s airport also got its share of false bomb alerts. Bomb squads were sent in to search two flights back in January. Moreover, US shopping malls have also been targeted with unfounded bomb alerts. Just in March, retail centers in Washington, DC, Florida and Michigan were all evacuated after anonymous phone threats. In France, bomb threats are a particularly sensitive subject for law enforcement in wake of the deadly Charlie Hebdo attacks, and promises of more terror acts by radical Islamist groups.